Porsche has filed patents indicate the company is developing a new seven-speed DSG gearbox for use in it’s sports cars range. The Volkswagen Group’s Direct Shift Gearbox or DSG is a manual gearbox with dual computer controlled clutches. And it shifts fast, real fast. This could either be a Porsche design or an adaptation of Volkswagen’s BorgWarner DSG, considering Porsche’s close connection with the Volkswagen Group. Also, it’s not known yet whether Porsche will be calling their system DSG or something else. Audi uses Volkswagen’s DSG but calls it S-Tronic. The DSG is also expected to end up in Lamborghinis soon. 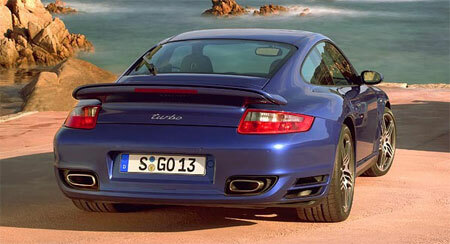 Porsche currently has manual and Tiptronic automatic transmissions for it’s cars. The original plan was to introduce the new DSG in time for the latest 2007 Porsche 911 Turbo (model 997) launch but it didn’t happen. BTW, stay tuned for an article on the new 997 Porsche 911 Turbo which was launched in Malaysia by Auto Eurokars last Friday. Previous Post: Research Octane Number: What is RON95?